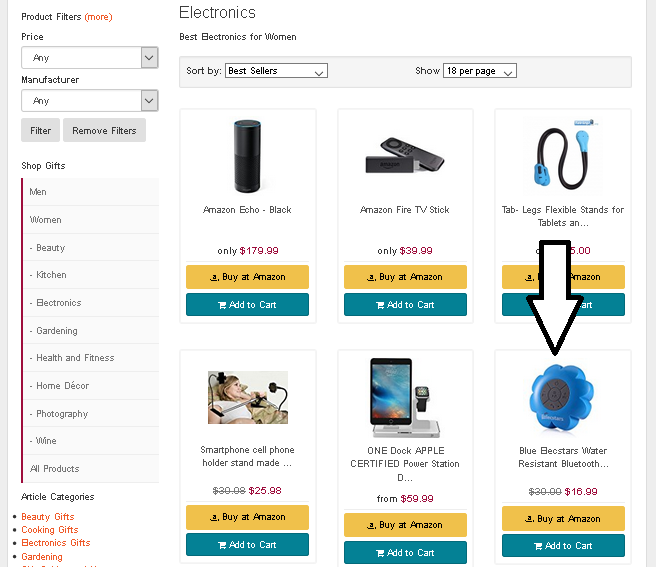 In this guide I will show you how you can add the same product to multiple categories. You will firs need to look at your store and find a product that you want to add to multiple categories. For this example I choose the Blue Waterproof Shower Speakers. In the below image you will see that it’s not in my Electronics for Women category but it is in my Electronics for Men. 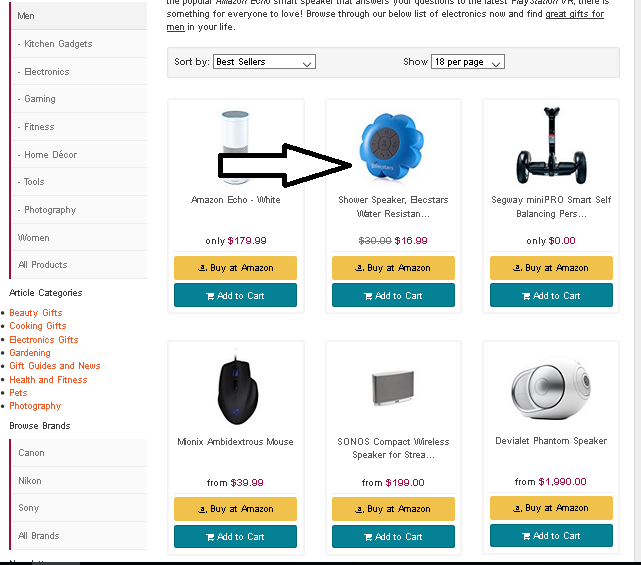 STEP 1: Go to the product that you want in multiple categories and click on the EDIT icon at the top of the page. STEP 2: Once the EDIT page opens for the product, go to the Options and Info tab. There you will see an option for Categories. The category that the product is in will be highlighted in blue. 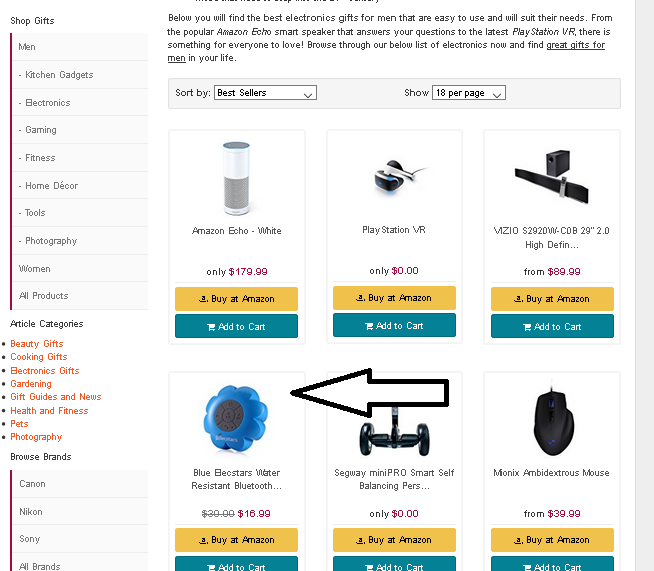 STEP 3: Scroll down on the categories and press Ctrl on your keyboard and click on the second category with your mouse that you want the product to be in. Make sure that the other category is still highlighted/selected. 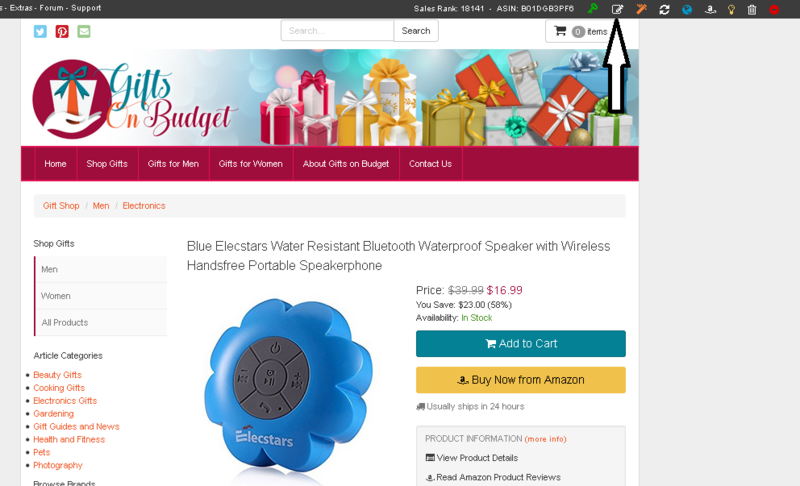 Scroll down on the page and click SAVE PRODUCT. 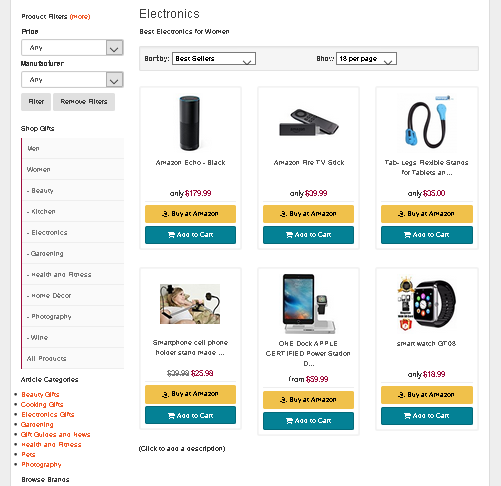 STEP 4: Go to both of your categories on the frontend of your store to see the same product in both categories.